In the realm of a typical wedding ceremony, the presence of bridesmaids would seem to most just as normal and familiar as having a bride and groom. But as times and traditions are ever changing, women are beginning to put their own spin on wedding day customs. 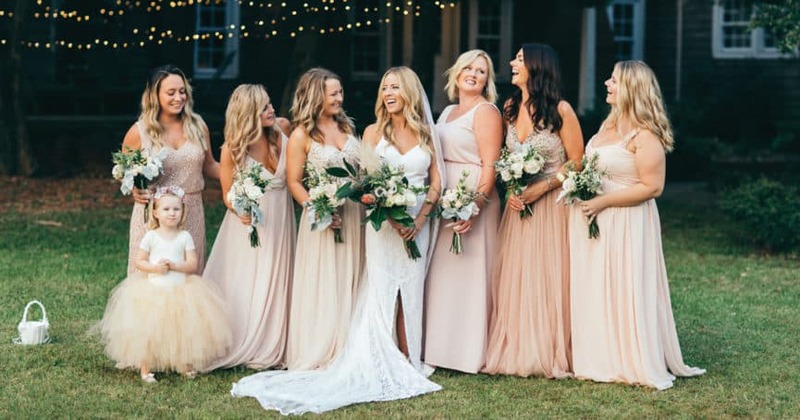 In this day and age, having a group of women stand beside you, all wearing the exact same dress, following you around during the ceremony, might seem a bit irregular. 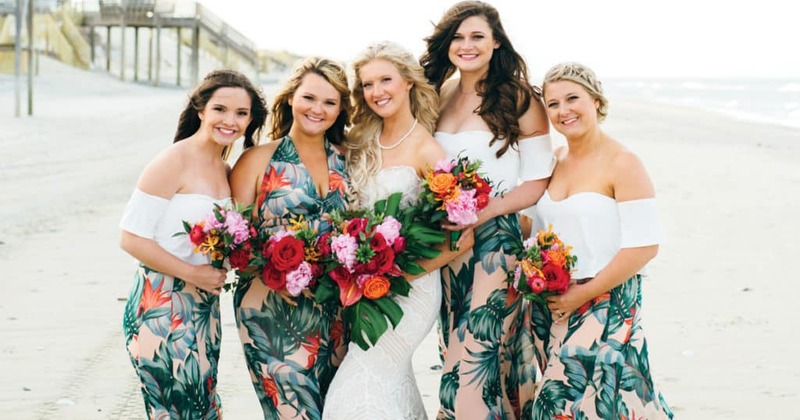 You might even be asking yourself, “Why do I need bridesmaids?” or “Who invented the idea of bridesmaids?” It isn’t uncommon in the present day to simply ‘do away with’ the standard wedding party troops. The actual historical reasoning behind bridesmaids is quite intriguing. The origin of the bridesmaid tradition arose from a combination of some vast, and very different factors. The most popular factors include family closeness, socialization, and religion. There are Biblical stories of a bride choosing “maids” that must accompany her during the wedding ceremony. However, these women were viewed as servants rather than our modern day social figure. Some sources also state that in ancient times, the bride and chosen bridesmaids wore exactly the same dress (style and color) and wore veils covering their faces in order to confuse and seemingly trick jealous suiters who wanted to kidnap or harm the bride. In this time period, the expectations of bridesmaids were none other than to protect the bride. Another source concludes that in ancient times, wedded couples were expected to have ten witnesses in order for their nuptials to be deemed legal, hence the “wedding party idea.” It wasn’t until a more modern day time period that bridesmaids began to actually take on a more fun and contemporary role of serving the bride (in ways that I’ll point out later). For couples who have attended weddings themselves, have often felt like they have “seen it all”, and they feel as though they want their special day to be memorable, and to stand out in uniqueness with uncommon and non traditional elements. Having your friends and family members join you at the alter and standing beside you during your wedding ceremony can simply be a way of showing the bond that you have with those who have supported you in your journey that led you to that exact moment. But for some couples, sharing that special moment alone can be the most meaningful and memorable part about the entire day. Being the bride’s emotional rock. Planning a wedding can be one of the most stressful times in a woman’s life. She will need your ongoing support during the months leading up to the wedding day, and then of course on the actual day itself. Helping with pre-wedding projects. There are countless tasks that will need done to put on a grand show such as a wedding. Many of these tasks include; choosing a venue, dress shopping, creating favors for the guests, mailing invitations, arranging a seating chart, help with finalizing the guest list, prepare an emergency kit for the bride, and among all other tasks, be willing to run any errands that the bride may need. Assisting the bride as much as you are able to will help keep her stress levels down, and will in turn help keep her ‘Wedding To Do’ list at bay. Dress shopping and fittings. As the role of a bridesmaid, you will be expected to shop with the bride for her wedding dress. As her friend, she will value your opinion as she gets closer and closer to saying “yes to the dress!” You will also be expected to purchase a bridesmaid dress. This may be a dress that the bride picks out, or yourself if you are given the freedom to do so. 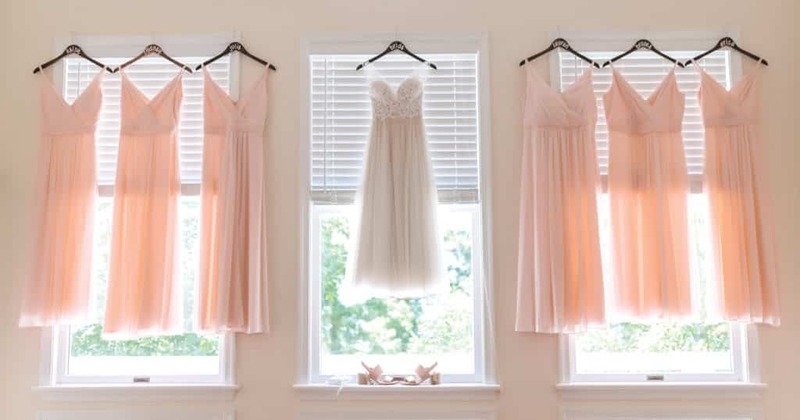 Bridesmaid dresses can range from $150 to $500, given the style and brand. You should also factor into your budget alterations. Most dresses come in a generic sort of size, in which case you will need a seamtress to fully customize the dress to your individual needs. Gifts from the bridesmaid. Wedding etiquette says that bridesmaids are expected to give a wedding gift, even if they have covered costs for pre-wedding expenditures. However to make things a bit easier, bridesmaids chipping in for one major gift is acceptable. Even picking up a small item (think less expensive pictures frames, candles, etc.) are adequete as well. Try to keep in mind that it’s not how much money to spend on the bride and groom, it’s the pure fact that it came straight from your heart.